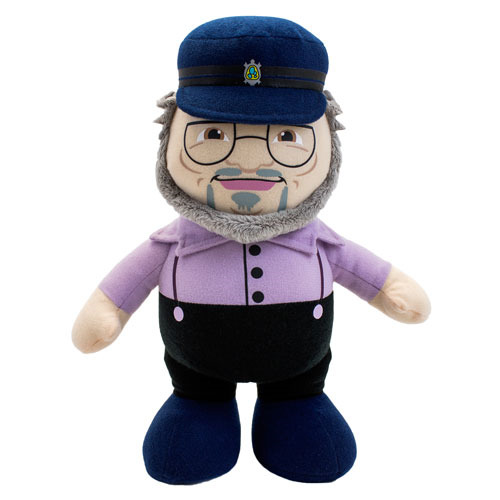 George R. R. Martin plush! The author of Game of Thrones is now a cute plush! Dressed in his trademark fisherman's cap and suspenders, this George R. R. Martin 12-Inch Deluxe Talking Plush features 10 exclusively recorded audio quotes delivered directly by Mr. Martin himself. Plush stands 12-inches tall. Requires 2x "AA" (Included). Ages 18 and up. "A mind needs books as a sword needs a whetstone, just to keep its edge." "Never forget what you are, clearly the world will not, make it your strength and it can never be your weakness." "There is only one God and his name is Death. There is only one thing we say to Death... not today!" "It's a nice day for a red wedding."